I work from home many days. As such, my Office is a little different from the norm. Mainly, my co-workers. Harvey is the office crank, but he generally keeps to himself and doesn’t get in the way too much. 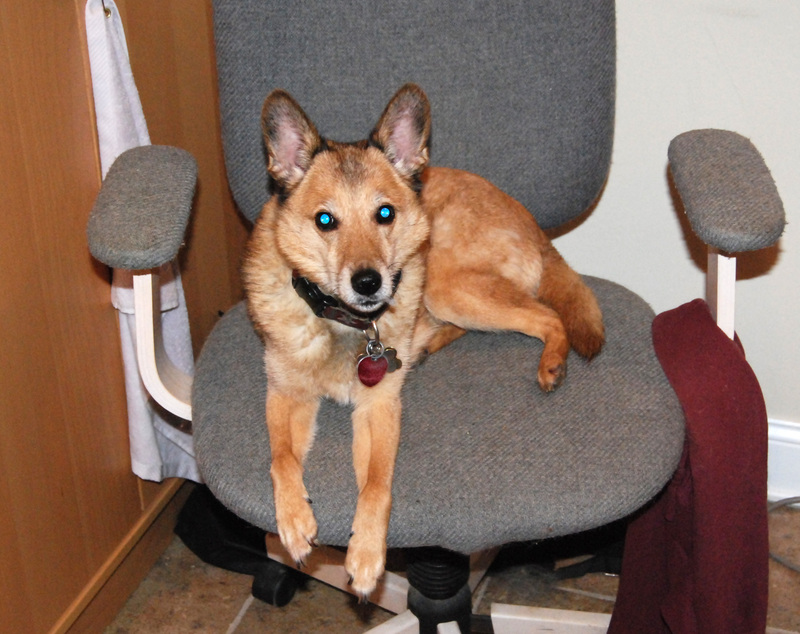 He is picky though about his furnishings, preferring a chair to himself. 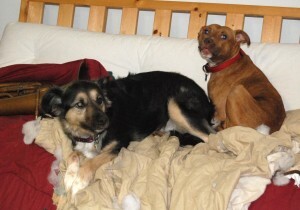 Katy and Ginger tend to hang out in the common area more – usually on the old futon. As evidenced here, they don’t have much respect for company property and have developed a habit out of removing the stuffing from office supplies like the comforter and squeeky-toys. They also have a tendency to get involved in horseplay, making a bunch of noise and running into things. This usually goes on until either Harvey or I bark at them. Norman tends to be in and out more than the rest of us. He’ll work remotely much of the time (say, in the bedroom, the living room, or frequently from the sunny spot in the kitchen). When he does show up in the office, he has a problem at times maintaining persona space. Has an amazing tendency to show up whenever there’s cereal milk or marinara sauce leavins’ to be had. 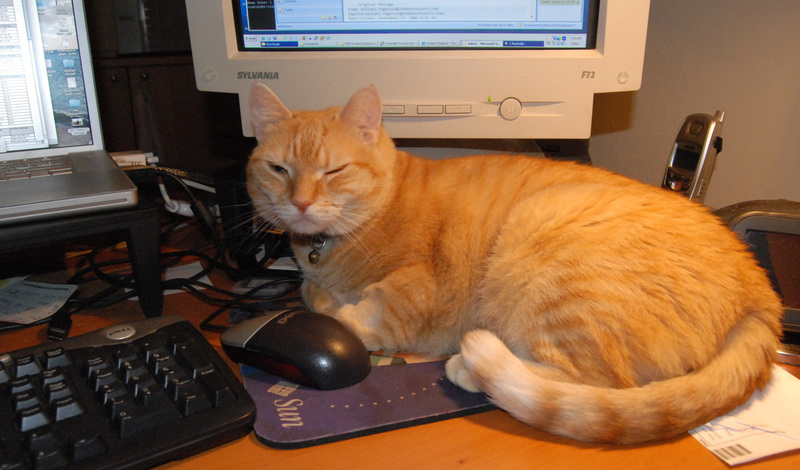 Here he was demanding attention, plopping himself down right where the mouse normaly sits. This is not quite as bad as sometimes though, where he decided to walk across the keyboard, or my back. This entry was posted in house, pets, Pictures, Travis and tagged cat, dog, humor, office, pets, Pictures. Bookmark the permalink.